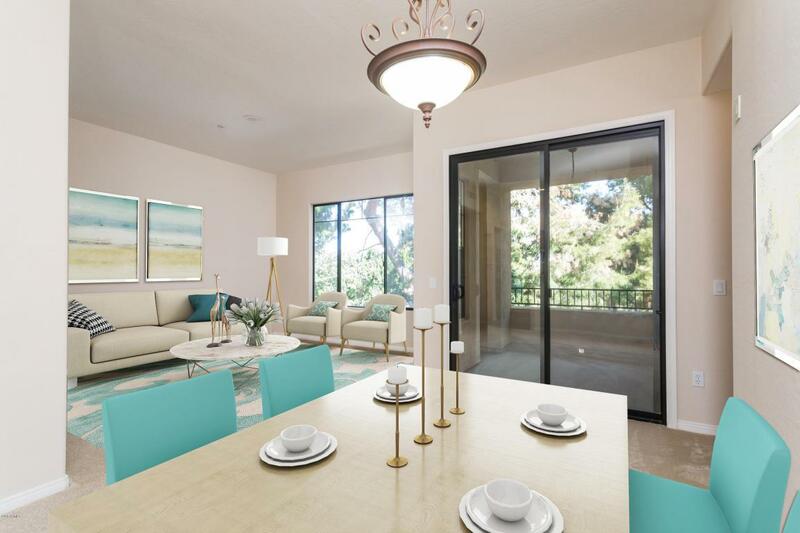 Overlooking tall trees, lush landscaping & resort style amenities is this mid-rise luxury penthouse condominium in the heart of the Camelback Corridor. 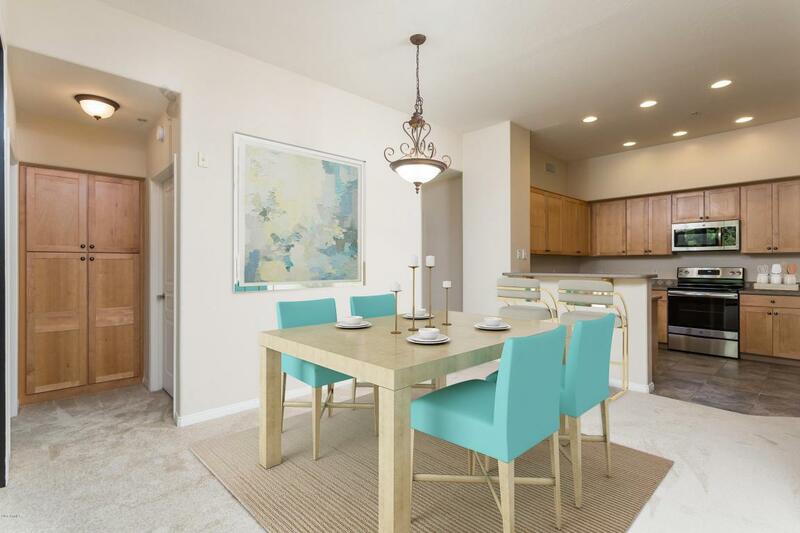 Built by Cachet, this 2 bedroom/2 bath single level unit features a great room floor plan with covered balcony and oversize windows overlooking the pool and pond areas. The gourmet kitchen is outfitted with natural maple cabinetry & new stainless steel appliances. 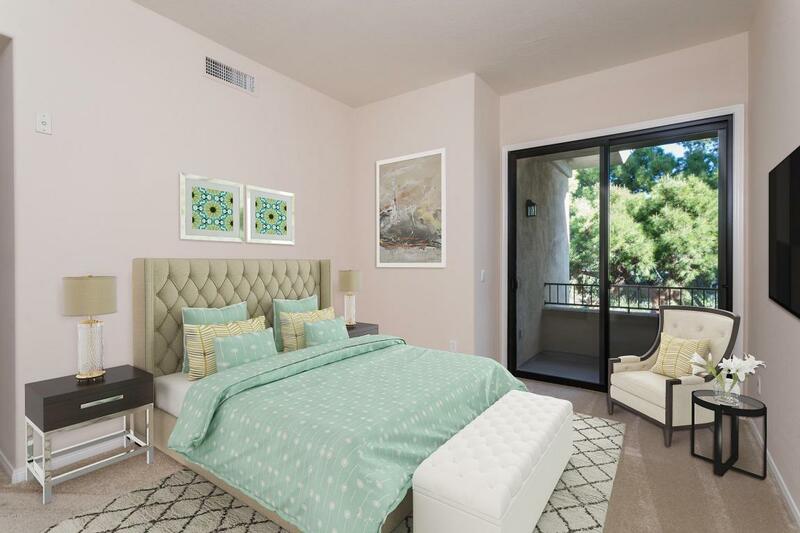 Light & bright bedrooms have a soothing neutral palette. The Master has a second balcony & a generous walk in closet. 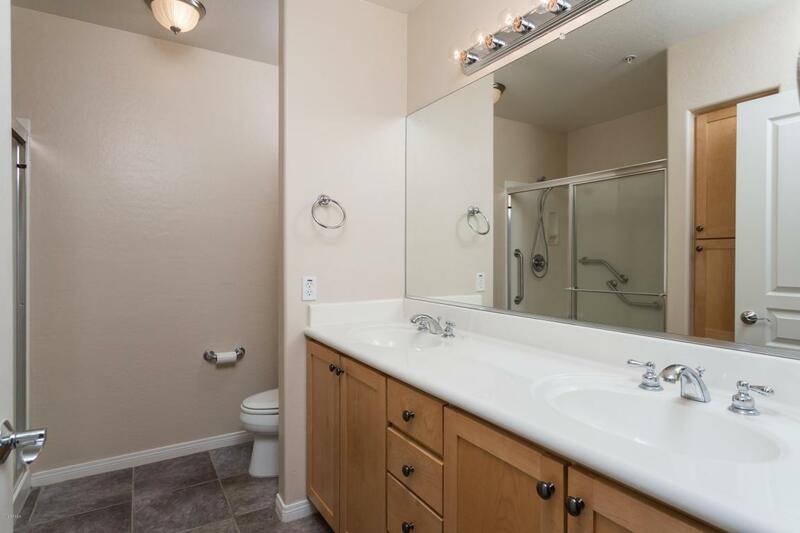 New paint & carpeting make this move-in ready. Parking for this unit are two individual garages. Amenities include pool/spa, fitness center & clubhouse with catering kitchen.